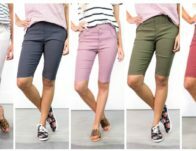 Cents of Style is offering shorts for just $10 with free shipping as a part of their Fashion Friday Deal. You will need to use promo code SHORTS10 to get this deal. Continue reading Cents of Style: Shorts Starting at $10 + Free Shipping at FTM.